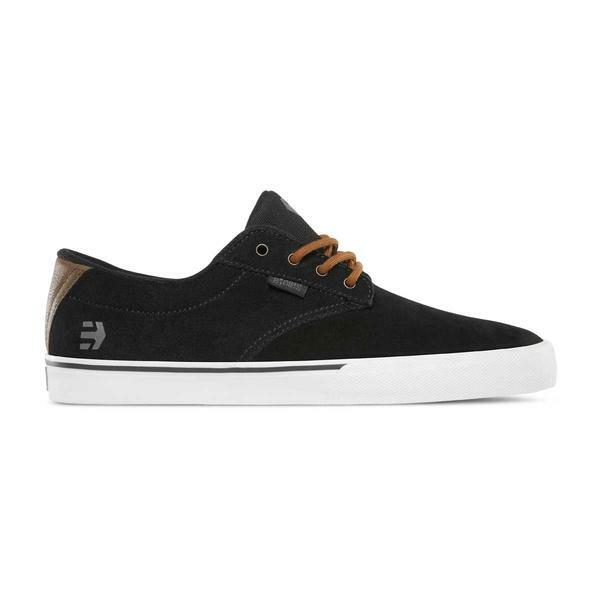 The Jameson Vulc skate shoe by Etnies features recycled open cell PU foam insole and Egg-crate midsole construction that gives you great cushioning and flexibility. The tread pattern is based on the Etnies team favorite RCT. The Jameson Vulc features a low toe box that keeps the vamp closer to your foot, which in return gives you better board feel and better flick. The one piece toe design gives the Jameson Vulc a clean low profile design. The vulcanized rubber sole is much stronger and more rigid than non-vulcanized rubber and can stand up to more stress and damage. 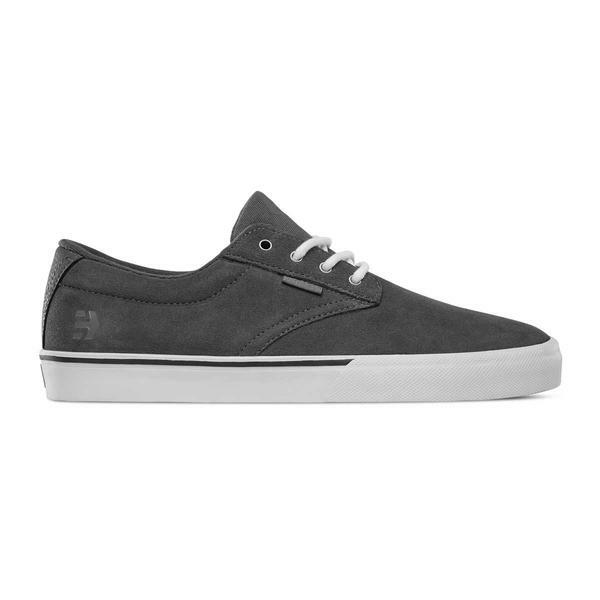 This gives you a strong and durable skate shoe with a timeless design.